Born out of a hope that the experience of peace can contribute to a long lasting peace. Born out of a belief in the power of cultural exchange. Born out of a belief in the excellence of craft. The Portland Japanese Garden is a place to discard worldly thoughts and see oneself as a small but integral part of the universe. The Garden is a living “classroom” that offers tremendous opportunities for experiential learning to all who enter its gates. 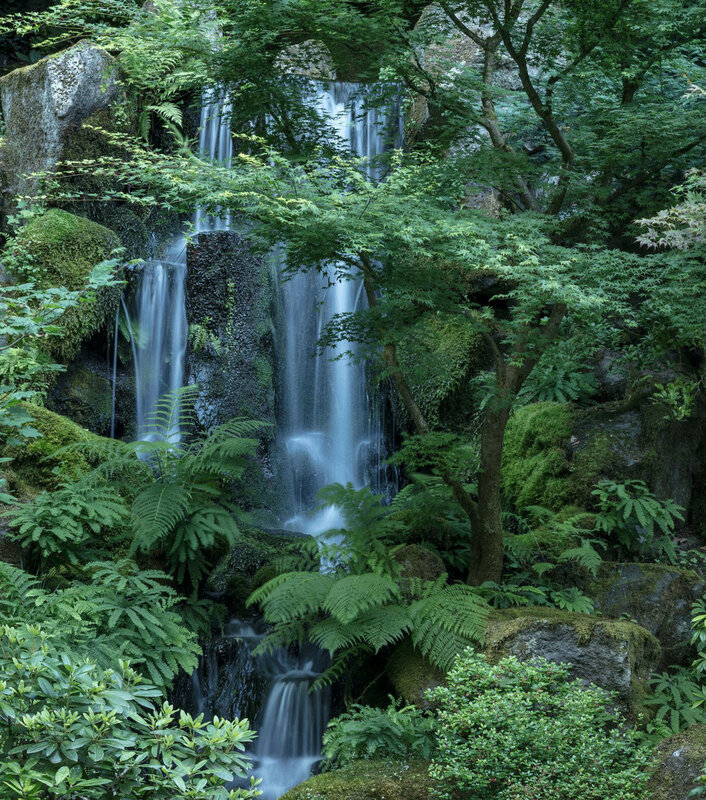 The lessons of the Portland Japanese Garden are many and varied; not only does it speak about the way trees grow and how moss forms on stone, but also about the lives and culture of the people who designed and nurtured this enduring art form.The Garden is a living “classroom” that offers tremendous opportunities for experiential learning to all who enter its gates. 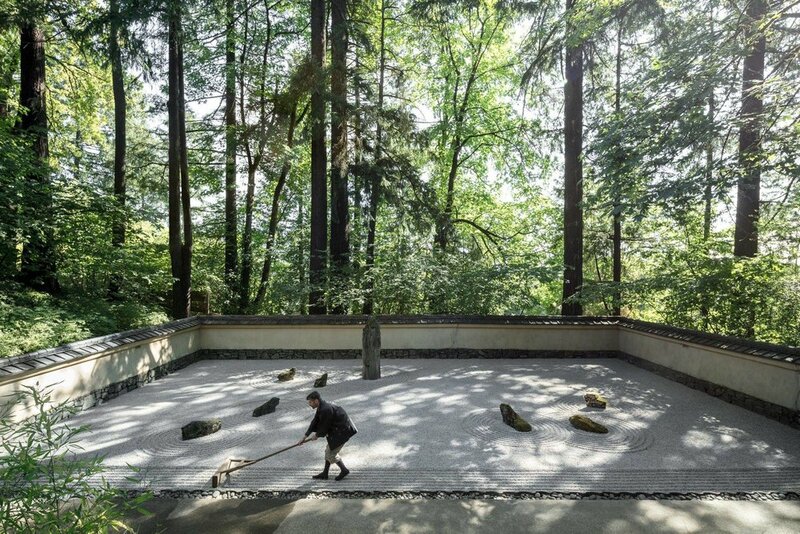 The lessons of the Portland Japanese Garden are many and varied; not only does it speak about the way trees grow and how moss forms on stone, but also about the lives and culture of the people who designed and nurtured this enduring art form. Once you’ve reached the top of the hill, you will enter the Cultural Village designed by world-renowned architect Kengo Kuma. The Cultural Village provides a place where visitors can immerse themselves in traditional Japanese arts through seasonal activities, performances, and demonstrations in the Tateuchi Courtyard. Stop into our Concierge Office if you would like more information about Garden tours, events, or any other questions you might have. The Concierge can also help you purchase a Garden membership. The price of your admission ticket can be applied directly toward your new membership. 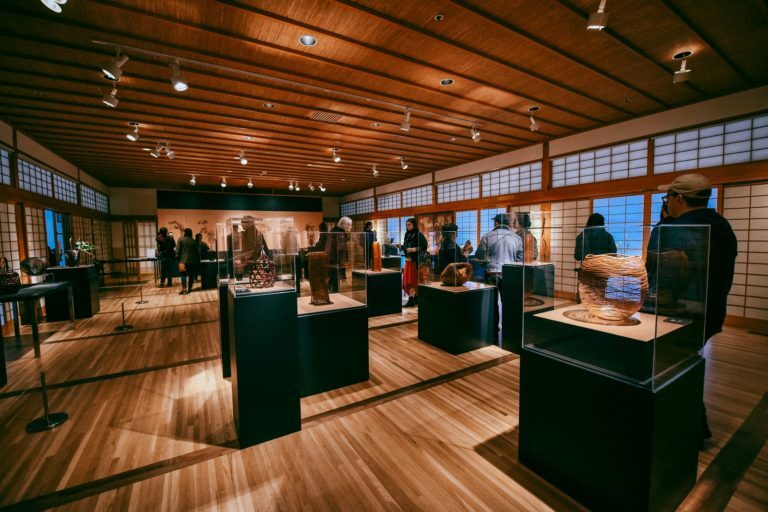 While you’re in the Cultural Village, visit the Jordan Schnitzer Japanese Arts Learning where you may encounter a variety of ever-changing cultural demonstrations in the Cathy Rudd Cultural Corner. As a work of art in its own right, the Portland Japanese Garden is also a natural vehicle through which to explore Japanese art and design. The series of Art in the Garden exhibitions explore ideas and aesthetics integral to the fabric of life in Japan. By looking outside Western notions of fine art vs craft, the work chosen for exhibition aims instead to define the spirit of this complex culture and to reflect, whenever possible, the beauty of nature and the Garden itself. Our Pavilion gallery, located in the Flat Garden, features 3-4 exhibitions per year. This space is complemented by the Tanabe gallery, located in the Learning Center of the Cultural Village, which features a changing series of exhibitions throughout the year. Public tours are a wonderful way to immerse yourself in the rich history and design of the Garden. Public tours with the Garden’s well trained and knowledgeable volunteer guides are complimentary with admission. Tour times are subject to volunteer availability, but are generally available at 2pm and 4pm May 1st through Labor Day and at 12pm September 4th through April 30th. For the most up to date list of tour times please call 503-542-9306 on the day of your visit. Stroll around, slow down, and let your senses guide you into another world. The Umami Café provides a place for you to relax and refresh while at the Garden. Here, you will experience the pairing of world class Japanese tea with traditional gracious, attentive service, and delicious edible delights. Looking to continue your exploration of Japanese garden arts and culture at home? The Garden Gift Shop, located in the Cultural Village, offers a unique mix of hand-selected items from Japan, including several items available no where else in the United States. Browse our meaningful and unique merchandise and take a piece of the Portland Japanese Garden home.